Oskar Blues has branched into hard seltzer with its Wild Basin Boozy Sparkling Water. Courtesy Oskar Blues. LONGMONT — Oskar Blues Brewery is launching the first national craft hard seltzer with the debut of Wild Basin Boozy Sparkling Water. Wild Basin is made in Longmont and uses water from the St. Vrain River. Each drink has a 5 percent ABV and 100 calories, with zero grams of sugar and one gram of carbs. They are also gluten-free, have no artificial ingredients and use only natural flavors. Varieties include Classic Lime, Cucumber Peach, Melon Basil and Lemon Agave Hibiscus. The decision to branch into the hard seltzer market stems from the drinks’ increasing popularity over the last year. Oskar Blues said it is marketing the beverages to people who enjoy the outdoors, socializing and healthier living. The hope is for the drink to be an alternative to wine and spirits. The cans are decorated in bright artwork to grab the eyes of customers. To support the ramping up of its products, the company is investing in a new canning and packaging line. Oskar Blues is also donating $1 per case to its charity partner, The Can’d Aid Foundation, to support river-preservation initiatives. 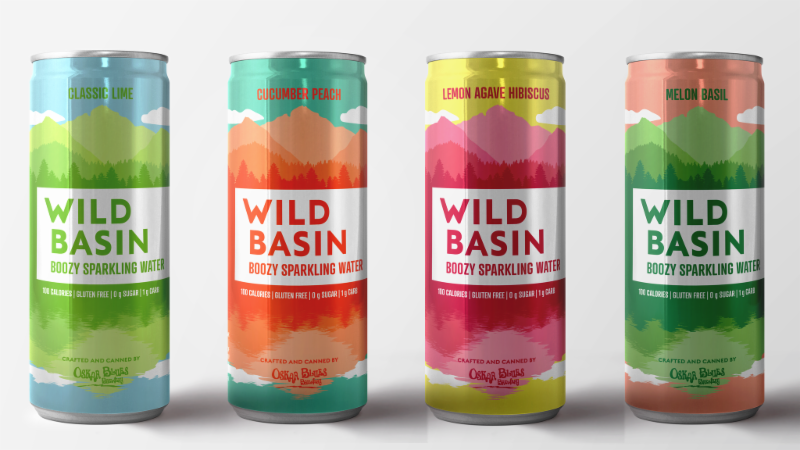 Wild Basin Boozy Sparkling Water will launch in January in Colorado and North Carolina and will soon after expand to other key markets before rolling out nationwide.